For many people, spring is the best season of the year. We leave behind the cloudy and cold days of the winter when we don’t want to go outside. Finally, we can do outdoor activities, exercise our bodies, and round out our diet with the help of Avocados From Mexico. If you do not know what to prepare, we can help you with this selection of recipes perfect for the spring that range from breakfast to snacks and meals. A serving of our favorite green fruit — 1/3 of a medium-sized avocado — is a good source of fiber. Including avocados in your snacks and meals may help you control your weight as fiber helps you feel full faster. Before changing your eating habits, talk to your doctor about your nutritional needs and the foods you should eat. While avocados are a good source of fiber, you should always discuss recipes in their entirety with your doctor when considering making changes to your dietary routine and investigating which foods you should incorporate. 1/2 small Avocado From Mexico, cubed; 2T of butter; 1/4c onion, finely diced; 1c shitake mushrooms; 1t garlic, finely minced; 2 eggs; 1/4c black beans, rinsed; 1/8t kosher salt; 1/8t black pepper; a few chopped cilantro leaves. Melt butter in a skillet over medium heat. Once melted, add the onion and mushrooms, stirring occasionally until softened and golden (5-10 minutes). Add the garlic. Cook for another minute and stir. Crack eggs into a bowl and beat with a fork. Add the rest of the veggies, black beans, salt, and pepper. Stir constantly until eggs are completely cooked (about 1 minute). Taste and add additional salt and pepper if desired. 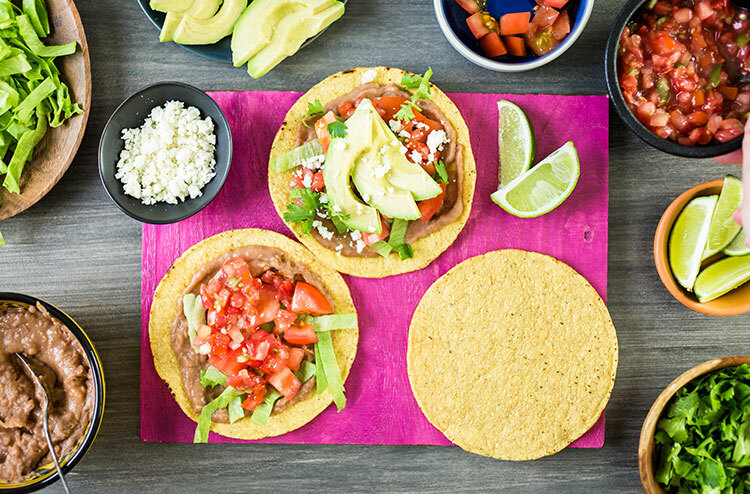 Put on a plate, and garnish with avocado and cilantro. 1 Avocado From Mexico, cubed; 2T extra virgin olive oil; 2T lemon juice; 1T balsamic vinegar; 1t Dijon mustard; 1T honey; salt and pepper to taste; 6c arugula; 1 small can of tuna; 1-1/2c white beans; 1-1/2c cooked quinoa; 1/4c feta cheese. In a small bowl, whisk olive oil, lemon juice, vinegar, honey, mustard, salt, and pepper until well combined. In a large bowl, combine arugula, tuna, beans, quinoa, avocados, and feta cheese. Toss gently with dressing. 2 Avocados From Mexico, mashed; juice from 1/2 lemon; 1T of cilantro; 1T sour cream; 1T olive oil; 1t finely chopped garlic; 1t hot sauce; 12 celery sticks; salt and pepper to taste. In a bowl, mash Avocados From Mexico with a fork. Add the lemon juice, cilantro, sour cream, olive oil, garlic, and hot sauce. Add salt and pepper to taste. Fill celery stalks and serve.